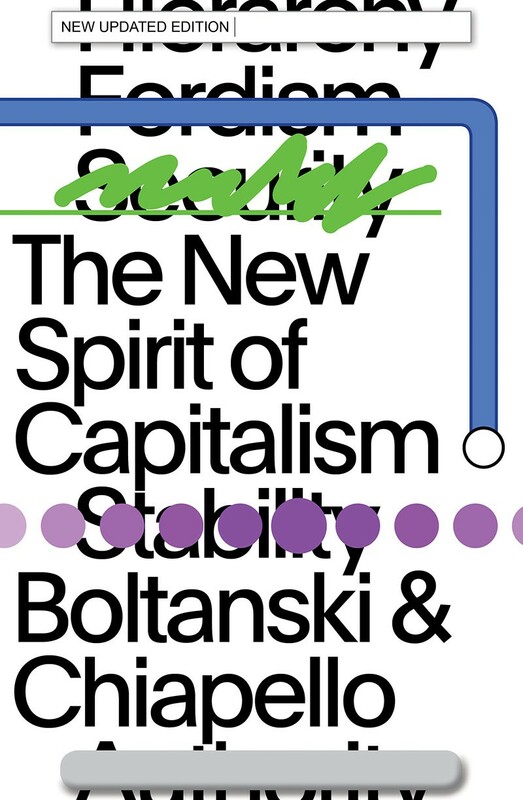 In this established classic, sociologists Luc Boltanski and Eve Chiapello get to the heart of contemporary capitalism. Delving deep into the latest management texts informing the thinking of employers, the authors trace the contours of a new spirit of capitalism. They argue that beginning in the mid-1970s, capitalism abandoned the hierarchical Fordist work structure and developed a new network-based form of organization founded on employee initiative and autonomy in the workplace—a putative freedom bought at the cost of material and psychological security. This was a spirit in tune with the libertarian and romantic currents of the period (as epitomized by dressed-down, cool capitalists such as Bill Gates and Ben and Jerry) and, as the authors argue, a more successful, pernicious, and subtle form of exploitation. In this new edition, the authors reflect on the reception of the book and the debates it has stimulated.